It is quite likely that, in the wake of the work we have done to promote traditional, seasonally grazed dairy farms and the wonderful milk they produce, others will begin to label milk as ‘free range’, reassuring consumers that cows have “access to grazing” for much of the year. However, in many instances, this may simply mean the chance to wander round a small exercise yard adjacent to the buildings they are housed in, with little or no grazing, or a token gesture to provide limited grazing for some of the cows, some of the time. That’s why the Pasture Promise label requires Free Range Dairy producers to graze all cows out in the fields, other than when they come in for milking, for at least 180 days a year. As well as wanting to offer consumers a more informed choice when they buy milk, we also want to help farmers to make the best possible use of the wonderful, green grass that they grow. That’s why we held our first farm workshop for Free Range Milk producers in Gloucestershire last week. 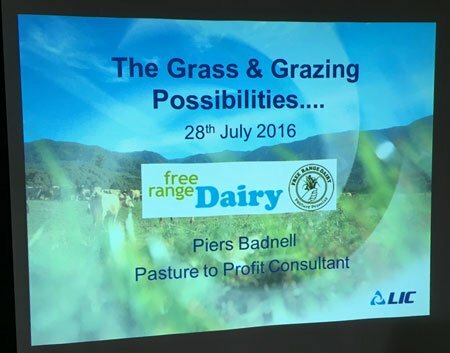 Piers Badnell, formerly a technical extension officer for AHDB Dairy and now grazing consultant for the Livestock Improvement Company (LIC), kindly offered to share his knowledge and expertise with us, in the field. Thanks to our climate and the regular rainfall we get throughout the year, Britain is one of the best grass growing places in the world. However, one of the biggest challenges on farms is how to make best possible use of this wonderful resource and avoid wasting what nature has provided. Whilst some farmers spend considerable time and money in establishing new grass leys, controlling weeds and applying nutrients, they often see grass as simply a place for cows to wander outside in the summer months, whilst still relying on the provision of supplementary feed around milking times to drive milk production. Perhaps, unaware of the full potential of well managed grazing, or enticed into a more intensive feeding regime by those with something to sell. However, fresh, grazed grass is packed with energy and protein and can sustain good milk yields throughout the grazing season, with close attention to detail. Cows require energy and protein for both body maintenance functions and milk production. Average sized milking cows have a mature weight of around 600kg and require approximately 70 Mega Joules (MJ) of energy a day for maintenance. The energy required for milk production depends on the fat and protein content of the milk but, typically, around 5.5 MJ of energy are needed for every litre of milk produced. This means that a cow producing 20 litres of milk a day requires a total energy intake of 180 MJ a day (70MJ for maintenance plus 20 litres x 5.5MJ). Cows are hungry beasts and can eat up to 80kg of fresh grass a day. But grass is full of water (80%) with only 20% made up dry plant material. So farmers measure cow appetite in terms of kilograms (kg) of dry matter consumed, to take account of how much of the feed they eat is moisture (water). 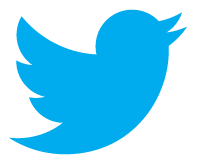 One kg of dry matter, of leafy grass, contains around 12MJ of energy. If the cow eats 80kg of fresh grass a day, she consumes around 16kg of plant dry matter, which provides a total of 192MJ of energy. Taking away the 70MJ she requires for maintenance, leaves 122MJ for milk production – enough to produce 22 litres of milk. Most cows produce more than 22 litres of milk a day, in early lactation and have an appetite in excess of 16kg of dry matter a day. However, it is difficult for cows to consume much more than 16 or 17kg of grass dry matter in 24 hours. So, the diet may have to be supplemented with other energy dense feeds, such as cereals, to meet her needs at this time. Whilst Free Range Dairy does not stipulate that milking cows must be fed a 100% grass diet, we are encouraging farmers to feed as much grass as they can and keep cows in fields as long as possible. Holding workshops, like the one we had last week, helps farmers to understand how the management of grass and the grazing regime can achieve this. Most grasses that are grown on British farms are ‘perennials’, which means they continue to grow indefinitely. But perennial grasses still have a seasonal cycle, with new leaves beginning to grow from late February to provide highly digestible food in the season ahead. However, around this time of year (July), grass plants begin to think about producing seeds and stems elongate and thicken. This results in the grass becoming less digestible and so cows reject it, leading to a deterioration of the sward, as lush foliage is replaced with tougher, ‘stemmy’ plants. In order to supress seed production and maintain the grazing quality of the grass, regular defoliation is required throughout the season, either by cutting or grazing. Real grass enthusiasts amongst dairy farmers pay very close attention to the management of grass and grazing and use a ‘rotational’ grazing system to ensure they maintain grass quality throughout the grazing season. The establishment of an effective grazing regime starts with understanding the requirements of the cows (as illustrated above) and estimating just how much grass will grow in the fields, throughout the year. Many have adopted a very helpful tool called a rising plate meter that can be used to measure the kilograms of grass dry matter in a field. The picture below shows the cows at our recent workshop closely investigating one of these. 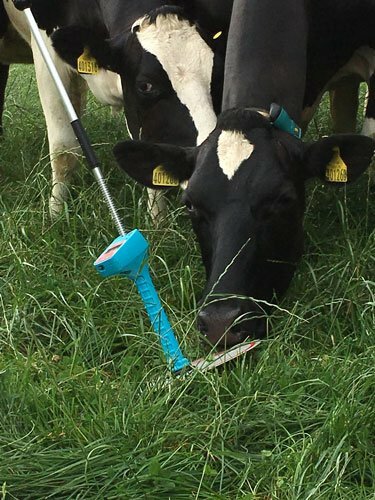 As the farmer walks across the field the rising plate meter takes a series of measurements of grass height and sward density, which is used to calculate the kilograms of grass dry matter per hectare of land. By knowing this, the farmer is able to allocate the right area of grazing to meet the appetite of the milking herd each day and ensure that grass is grazed down tight enough to ensure fresh, leafy regrowth appears after the cows move on to the next field. The rotation of cows round the fields on the farm will be driven by growing conditions. Early in the year, grass growth is slow with the production of little more than 10kg of dry matter per hectare each day. But, at times of peak growth, in spring, grass growth may add in excess of 100kg of dry matter per hectare every day. Farmers need to continually assess growth to develop a strategy for dealing with dramatic changes that can occur within a matter of days, if the weather changes. This might mean cutting surplus grass at times of peak growth and conserving it in bales, to provide winter forage. Or, when grass growth is very slow, in a cold spring or hot, dry summer, grazing may need to be supplemented with conserved forage and other feeds, to slow down the rotation of cows from field to field and allow grass time to recover. So, as you can see, careful attention to grass and its growth is vital throughout the growing period, if we are to keep cows happy in fields and produce as much milk as possible from fresh, green pasture. The full potential of grass and grazing on most British dairy farms still remains largely untapped and yet, thanks to our cool, temperate climate, it is the cheapest and most nutritious feed available to ruminant livestock. Some farms have been recorded as producing around 16 tonnes of grass dry matter per hectare, whilst many only achieve modest figures of around 9 to 10 tonnes. Unfortunately, when government and industry leaders attempt to justify the development of intensive dairy farming on the back of a need to produce more food, they seem reluctant to promote better management and utilisation of farming’s greatest natural resource. The truth is, whatever the question about milk and meat production in Britain, grass and grazing is the answer. As our farm workshop highlighted, growing more grass is not the priority on most farms, it’s making better use of what we already have that presents the biggest opportunity. As always, Free Range Dairy Network aims to focus attention on quality rather than quantity when it comes to milk and dairy farming and grass is no exception. As I hope this blog illustrates, there are a number of challenges faced by farmers who seek to work with nature and some may consider farming in a controlled environment, where cows are housed 365 days a year, a more reliable and easier way to manage milk production. But, we believe that freedom to graze is a fundamental expression of natural behaviour for dairy cows and that’s why we plan to hold more farm workshops for our farmer members, on a range of topics, in the future and set up regular meetings to allow them to share knowledge. We will continue to strive to make better use of grass but, also, look at how we can create healthy, living soils to reduce the need for artificial fertilisers and sprays, assess biodiversity on farms and enrich ecosystems, and ensure we don’t waste water. We are very grateful to people like Piers, who are willing to impart their knowledge, to help our cause and we hope to find others who will empower farmers and contribute towards the production of great tasting free range milk from sustainable farming methods.